Thank you! As temperatures warm, your prayers, generosity and support are helping us reach out to thousands of families in the remote communities of Western Alaska. 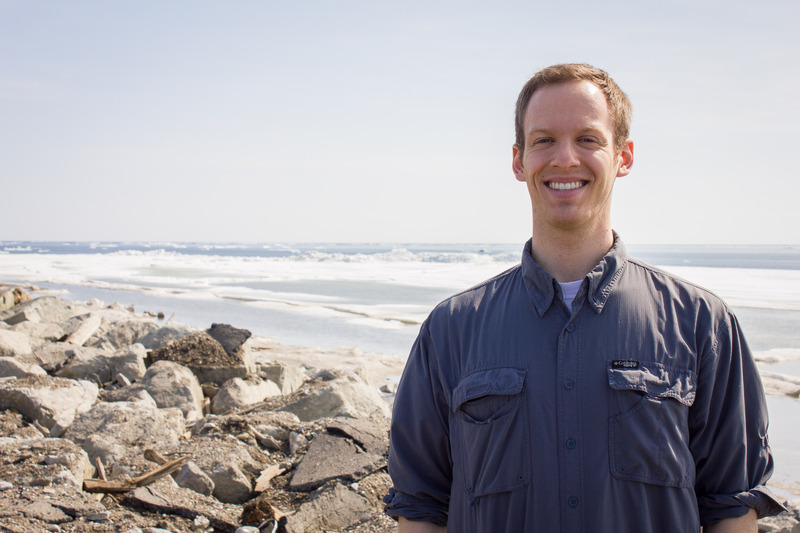 As summer nears and the snow melts, it's an exciting time in our region – and at our mission. We begin with congratulations: we're both humbled and excited to report that not one, but two prestigious awards have recently been given to KNOM, as you'll read below. These awards recognize programs both old and new at our station, as well as our commitment to community service and to the celebration of the human spirit. We gratefully share these awards with you! 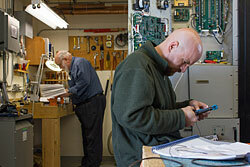 Meanwhile, we're keeping busy in our studios and at our transmitter site. 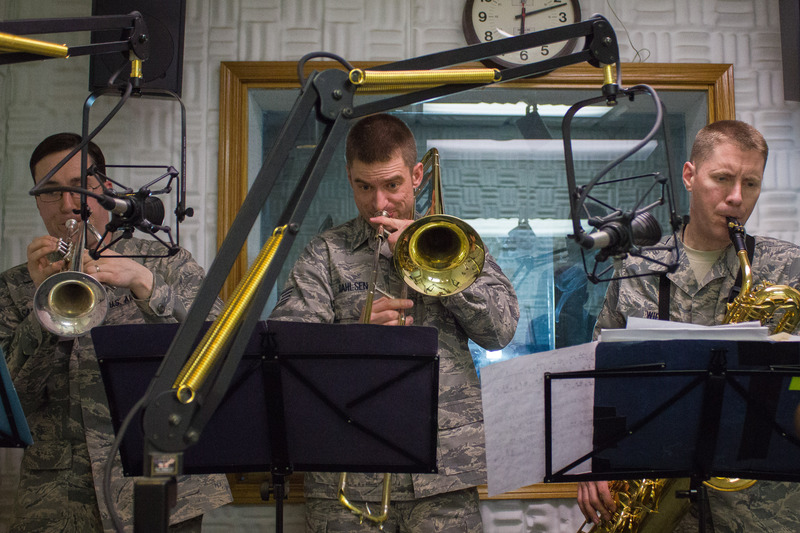 As you'll find in this issue, many new voices have been through KNOM studios in recent months: from eager students learning about broadcasting to traveling military musicians playing songs for our listening audience. 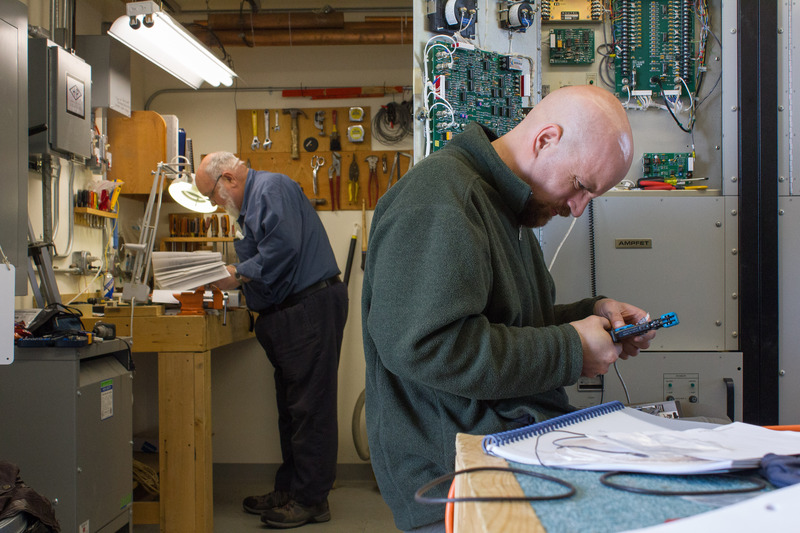 Below, you'll discover how hard work at our transmitter site – and the dedication of our engineers – should help to make our daily operations more energy efficient. 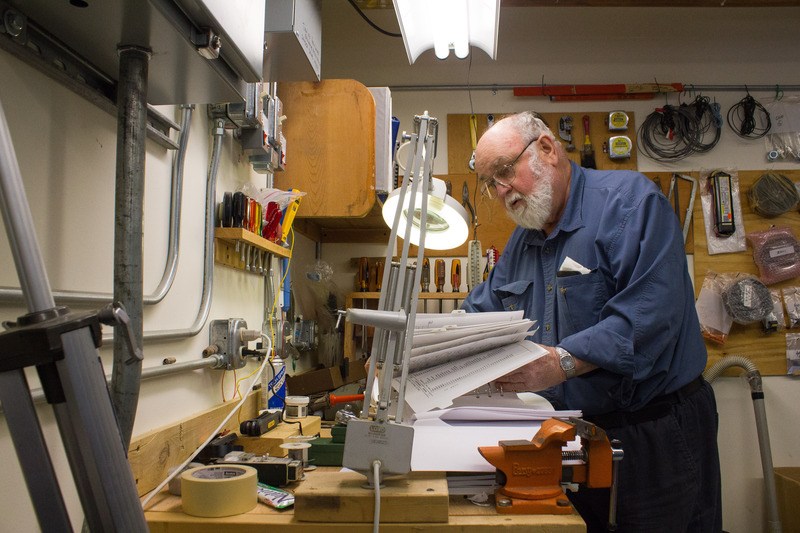 This issue also contains an update on the Tom and Florence Busch Digital Studios, the crucially-needed studio renovation and expansion project that, through your efforts, continues to move forward. Thank you for allowing us to serve the people of rural Alaska, and thank you for all you do for our mission. As summer gets underway, we're just getting started. 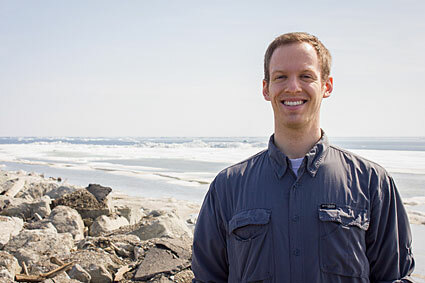 Every summer at KNOM is made bittersweet by the departure of that year's outgoing volunteers, and this year, our first farewell goes to volunteer news reporter Ben Matheson, who leaves in early June after two outstanding years of service. 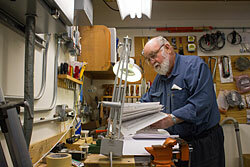 Ben – originally from Albert Lea, Minnesota – has accomplished a lot in his time at KNOM. 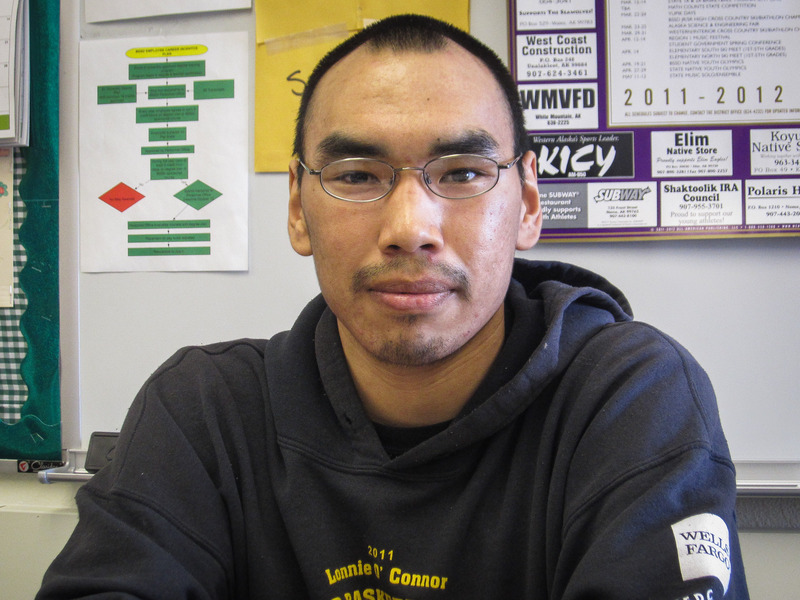 He's brought a zeal for news reporting to the hundreds of stories he's written and announced over our airwaves, and he's helped to deepen the good rapport between KNOM and the communities we serve. We know you'll join us in wishing Ben the best as he departs KNOM, and we thank you for your support in making his service possible. Jesus taught His followers to invest in love. It is the one treasure that we take with us into eternity. We offer kudos and congratulations to second-year volunteer Matty Guiffré, who has not only created a brand new (and already beloved) show but, also, won a prestigious award for the same show! 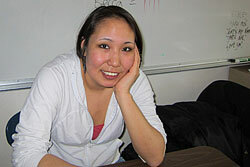 As this page on our website describes, Caught Doing Something Good – a monthly program that Matty created in early 2012 – "exists to capture the stories of young people in our region... Each episode of CDSG features an interview with a Western Alaskan student and puts a spotlight on the impact he or she is having in the community." Although Caught Doing Something Good (CDSG) has only aired five episodes as of press time, we've already received lots of positive feedback from our listeners, as well as from the International Academy of the Visual Arts, which selected the show as a winner of one of its annual Communicator Awards! The Communicator Awards, which KNOM programs have won several times in the past, recognize "big ideas in marketing and communications," and we're honored to receive one – and so grateful for your support in making shows like Caught Doing Something Good possible. 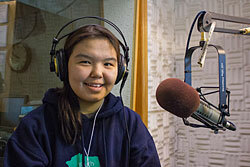 To hear CDSG, visit our news page on this website; you'll find stories of exceptional youth from Western Alaskan communities: like James Olanna (oh-LAN-uh) of Brevig Mission, Ida Kava of Savoonga (suh-VOON-guh), and Helena Oxereok (OX-uhrock) of Wales, pictured at left. Every child is an undiscovered source of wisdom. Speaking of youth – we've had plenty of young visitors inside KNOM's studio walls over the past few months. Many of them were junior high and high school students who came to tour our studio facilities and to gain insight into the operations of a 24-hour radio station. Others came to add their voice to special radio "spots" – the short educational messages that KNOM has been broadcasting since 1971. We were also serenaded by a group of military musicians: the Northern Lights Ensemble, a six-piece band of Air Force instrumentalists. The band (pictured) was traveling through our region and – thanks to you! – shared their talents on the air. 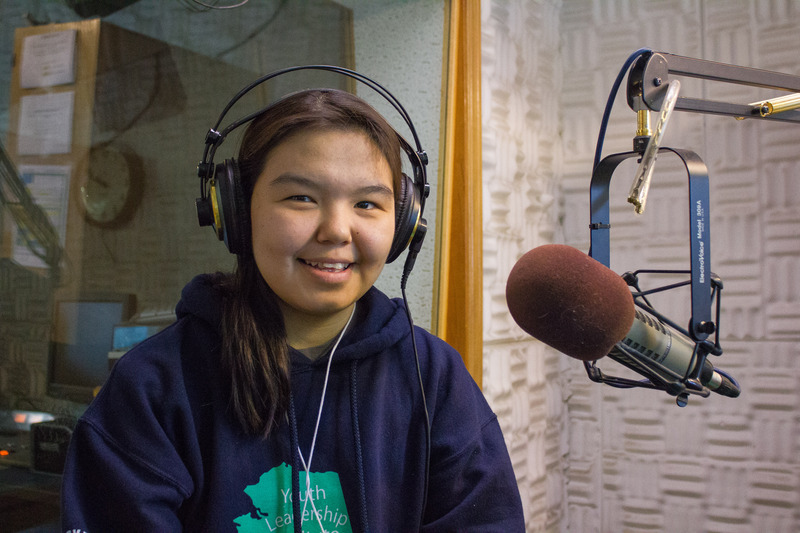 KNOM Radio is, first and foremost, a radio station dedicated to serving the communities of Western Alaska; faith-inspired community service is at the core of what we do and of why our mission exists. Your generosity makes that service possible, and that's why we're so excited to share with you the great news: KNOM has won a 2012 Crystal Award from the National Association of Broadcasters! As we wrote in the April Static, the Crystal Award recognizes excellence in community service. The 2012 award is our fifth; KNOM also took home this prestigious honor in 1987 (the first year the Crystal was offered), 2000, 2003, and 2005. We're the fourth radio station to have won five Crystals. Just to be a finalist for a Crystal is a great honor; fifty of America's most accomplished broadcast stations were chosen as finalists for the ten 2012 award slots. 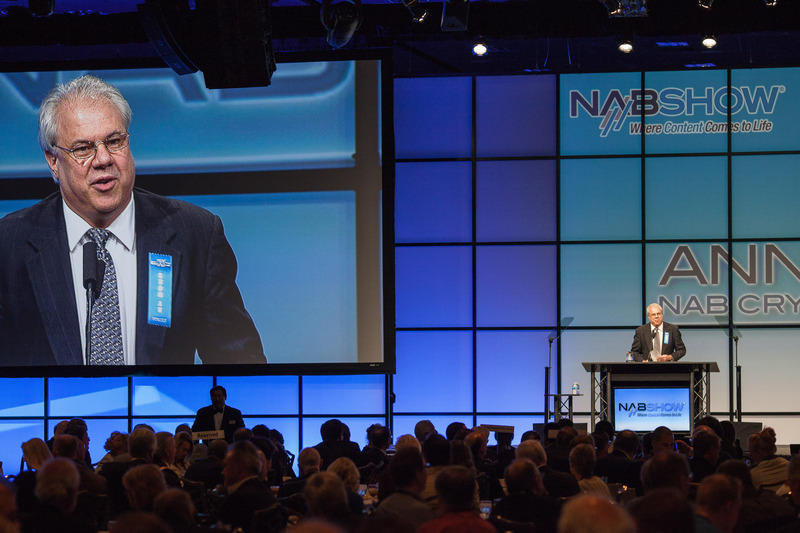 You can imagine our great surprise when, at the radio luncheon during this year's annual convention of the National Association of Broadcasters, the first station to be awarded a Crystal was KNOM! General manager Ric Schmidt (pictured) excitedly took the stage and gave thanks for the supporters, community members, staff, and listeners whose dedication makes KNOM possible. As always, we share this award with you. 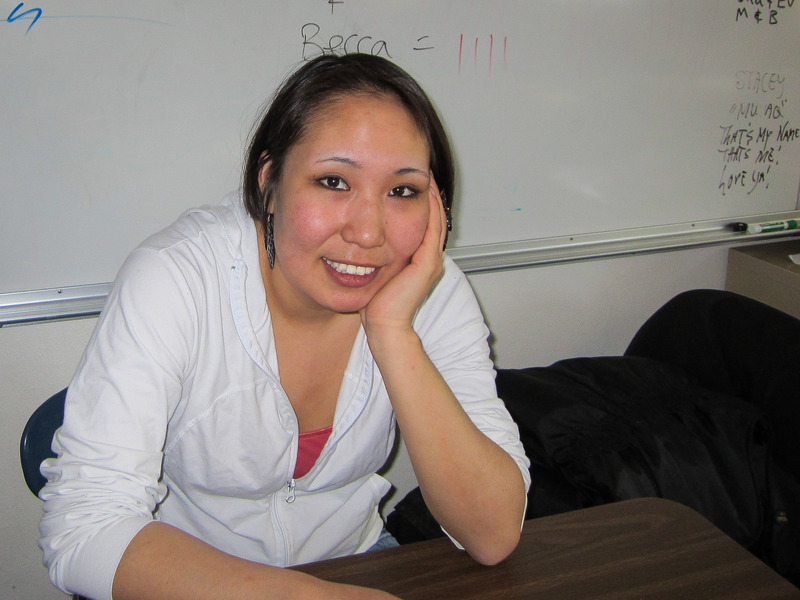 Thank you for all you do for the thousands of families in Western Alaska, and congratulations! Honesty can be so refreshing! It is truly a virtue. It demands that we trust God and each other. The truth is light unto itself! Our time at the National Association of Broadcasters convention was highlighted, also, by a chance to give back to the women and men who serve in our nation's military. 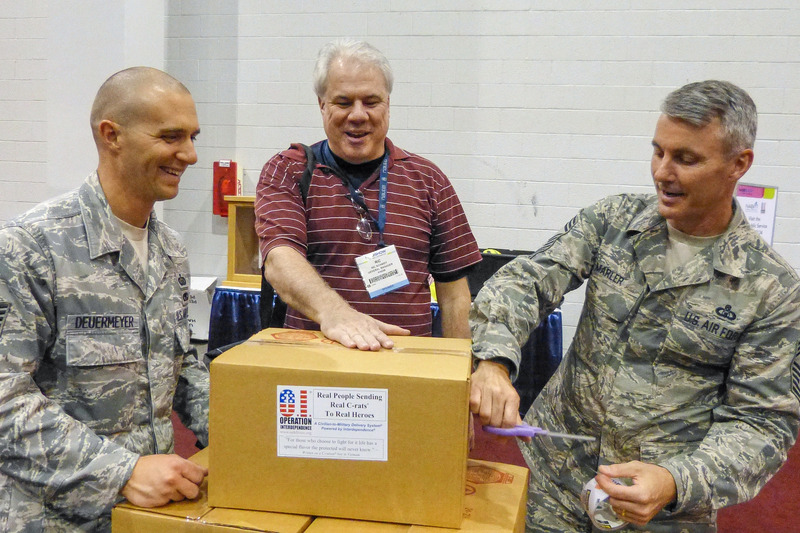 The finalists for the NAB Crystal Award (described above) were asked to participate in Operation Interdependence, a program in which civilians prepare care packages of rations and supportive letters that are sent to soldiers serving overseas. 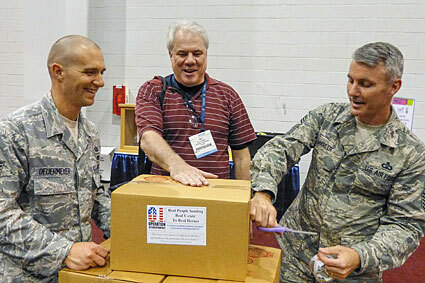 KNOM's Ric Schmidt took part in Operation Interdependence at the NAB Show; as pictured, he packed boxes alongside active servicemen. 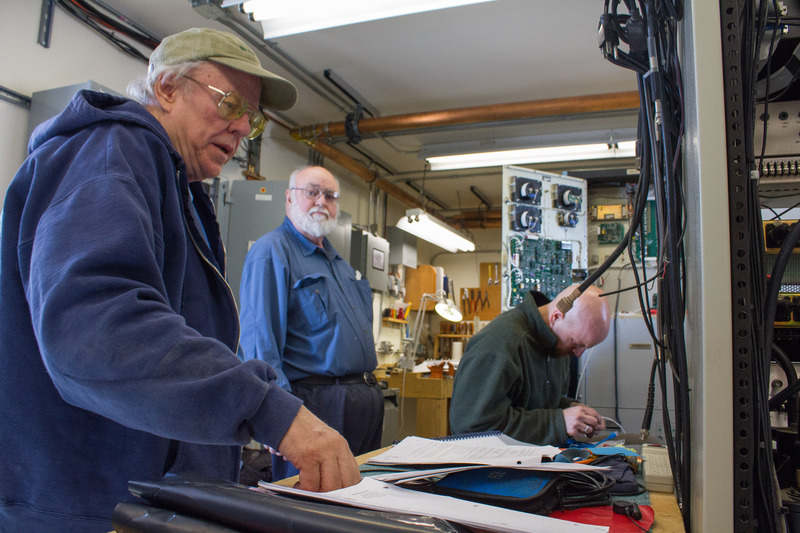 We're so grateful, once again, for the expertise and hard work of engineers and technical specialists Rolland Trowbridge, Les Brown, and Chuck Lakaytis (pictured top to bottom). 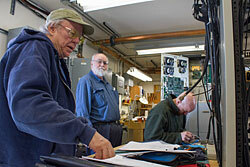 The three men recently combined their (considerable) talents to make a major installation at our AM transmitter site. The three implemented a new system of power management – known as dynamic carrier control – at our AM tower. The new technology, recently approved for use by the Federal Communications Commission (or FCC), dynamically adjusts the amount of electricity being used by our AM transmitter depending on the volume of the music or other content being broadcast. In small, daily amounts, the new system should save us large sums in our electricity bill: between 18 and 25%! Meanwhile, we're as committed as ever to the Tom and Florence Busch Digital Studios, a construction project that will expand and renovate our studio space, replacing our aging, analog broadcast equipment with energy efficient, digital equipment. We're excited to report that the studio fund now stands over $300,000: due, in part, to a generous challenge pledge that is matching, dollar for dollar, up to $50,000 of the donations we're receiving. Thank you for all you're doing to help support us during this crucial time, as we're laying the groundwork for our future operations and doing all we can to keep our operations streamlined and cost-efficient. We conclude with a note on the weather, which is changing fast in our listening area. With temperatures now solidly above freezing, most (but not necessarily all) of our snow and ice is gone, and sunlight bathes our region virtually 24 hours a day. 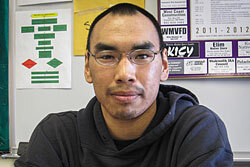 As rural Alaska thaws, our listeners hear hourly weather updates on KNOM: thanks to you!